Tonight: Parks Department Strategic Plan Public Meeting! Want to help create a vision that will guide the park department’s work over the next decade? Come tonight and let our park dept. know what you want to see in the future of our parks, programs, and facilities. Boulder Creek Rec Hall – Open Gym Hours….. Note: Board elections is this month. If there is a public event going on in Boulder Creek during February that is not listed, please comment below and we will update the list as soon as we can. Thanks for making this such a wonderful and active community. 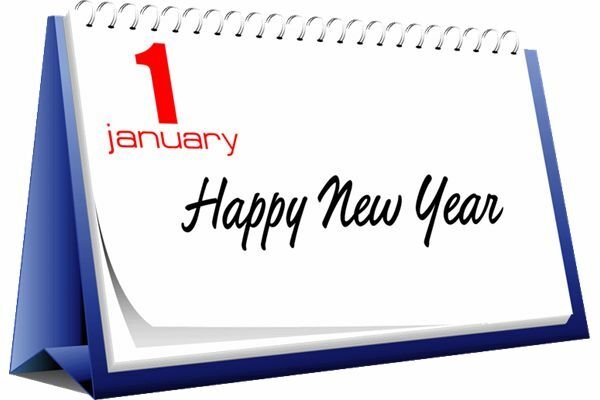 Is one of your New Years resolutions to be more active in the community? Well Boulder Creek Insider is here to help. This year we are trying something new, at the beginning of each month we are going to post all the events and meetings that we know of, to make it easier for you to be able to plan for them and attend. Below is what we have currently for January, all events listed are open to the public. So start off the year right and get involved in our wonderful community. Note: Board elections are coming up in February, see website for additional information. If there is a public event going on in Boulder Creek during January that is not listed, please comment below and we will update the list as soon as we can. Thanks for making this such a wonderful and active community. 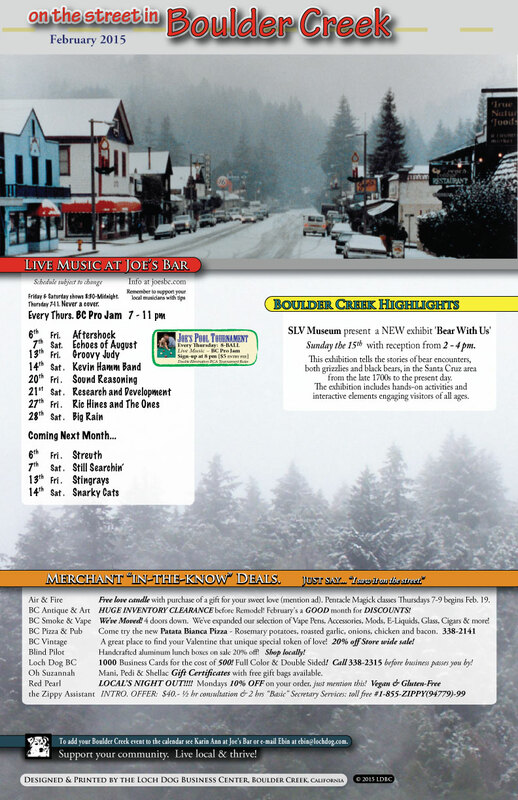 This weekend is Boulder Creek’s Art & Craft Fair hosted by our Park District. There will be live music, a bake sale, and 29 venders with wonderful art and craft items to enjoy. New this year is a kids craft area which is a free space for kids to sell and share their artwork. Come out this weekend to enjoy some art, purchase some Christmas presents, and support enjoy some live music all at the same time. 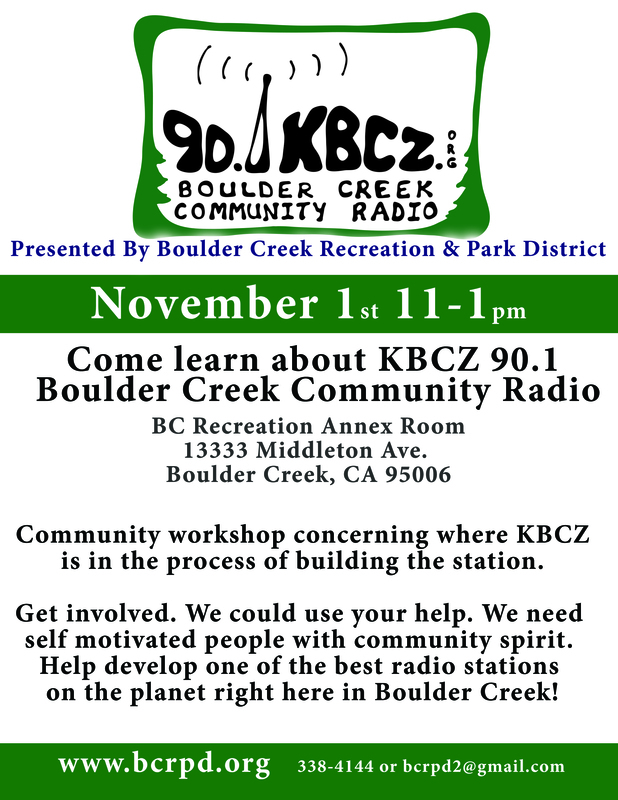 90.1 KBCZ radio station is getting closer to being on the air, they are having a meeting / workshop this Saturday from 11:00am – 1:00pm at the BC Rec Annex Room. Find out where they are in the process of going live, streaming radio, and the workings of the station itself. They want to here from you! They are currently looking for volunteers interested in the areas of technical knowledge, fundraising, marketing, and programming. No experience is necessary. KBCZ will be a non-commercial local FM Radio station at 90.1FM serving the San Lorenzo Valley using an entertaining and educational format. The content is to be focused on local expertise on a wide array of subjects including local history, art, music, agriculture, weather, emergency information, upcoming community events, and our local economy. KBCZ is to be financially sustainable through donations and local business sponsorships. So if you want to be part of the radio station, know what is going on, or give input please attend this workshop / meeting.